We're celebrating the official re-opening of the Southwest Porch today with 'wichcraft and Southwest Airlines. This season the Porch has a new look, new menu, and will feature weekly events like cookouts and game nights. Stop by all day or make a date for happy hour to celebrate the season kick off and sample delicious sips 'n snacks by 'wichcraft. 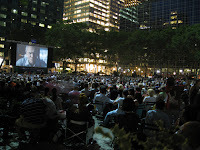 The 2011 line up for the HBO Bryant Park Summer Film Festival will be announced right here on the blog this Thursday, May 12, along with the chance to win a prize package that includes reserved seats at the film of your choice. 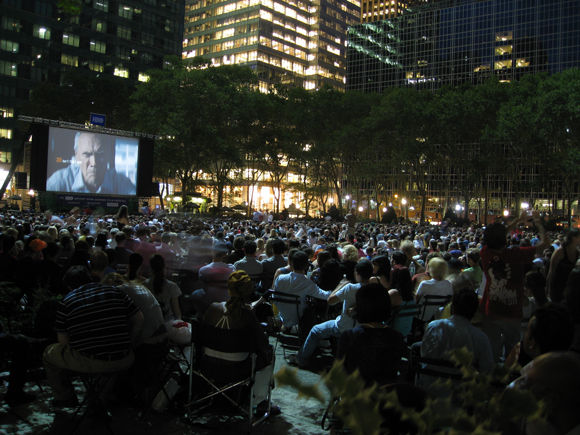 If you can't handle the anticipation, check out our Twitter and Facebook over the next few days for hints on which classic films made the line up this year. Love the new look. Will be blogging about it on my design blog! Thanks! Please send us a link when you do!